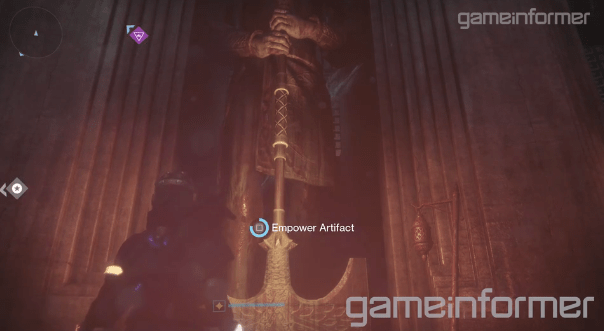 Game Informer has released a new video showing off Felwinter peak, Rise of Iron’s new social space. 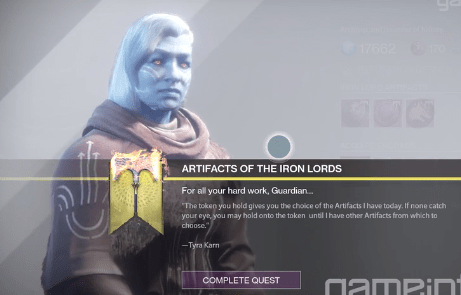 The biggest information drop came from a full view of Shiro-4’s Vendor screen. 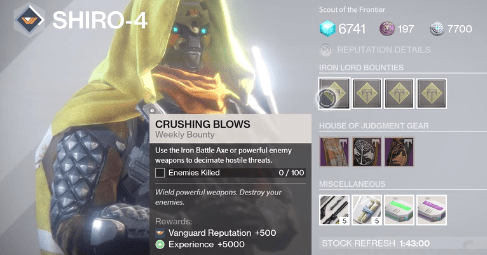 Shiro-4 is Cayde-6’s scout and representative at Felwinter Peak, and will offer both new weekly bounties and utility items for sale, including one that has never before been sold in Destiny. It appears he will also sell some kind of class items, although we may also be getting a reminder that this is still a development build: The class items are labeled “House of Judgment Gear”, but clearly depict Iron Lord Hunter Cloaks. We’ll have to wait until a later date to verify what he’ll actually have on offer. These are just some of his bounties. It looks like each will reward 500 Vanguard rep & 5000 experience. Shock it to Me – Use Arc damage to kill Fallen. Pull the Plug – Kill Fallen Majors and Ultras. Archon’s Forge: Captains – Complete Captain encounters in Archon’s Forge. No costs were revealed, but it’s a safe bet that Weapon Parts will be priced at 250 Glimmer for 5 to maintain parity with the Gunsmith. Armor Materials have never been sold before, but we’re betting they’ll come at a similar cost. That’s it for now, Guardians! To better prepare for this expansion, check out this guide. Next Post:Rise of Iron ARG?